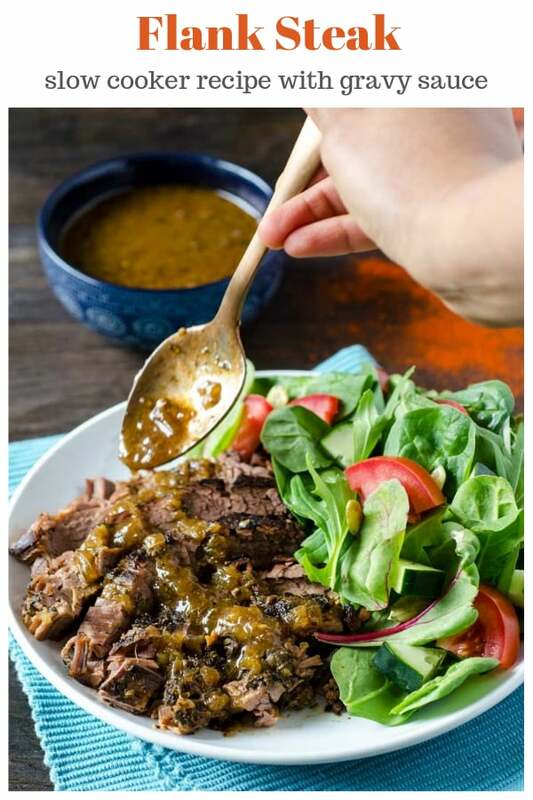 Flank steak slow cooker meal with simple ingredients and a delicious light gravy sauce made right in the same dish! Enjoy with a simple vegetable for a complete meal. 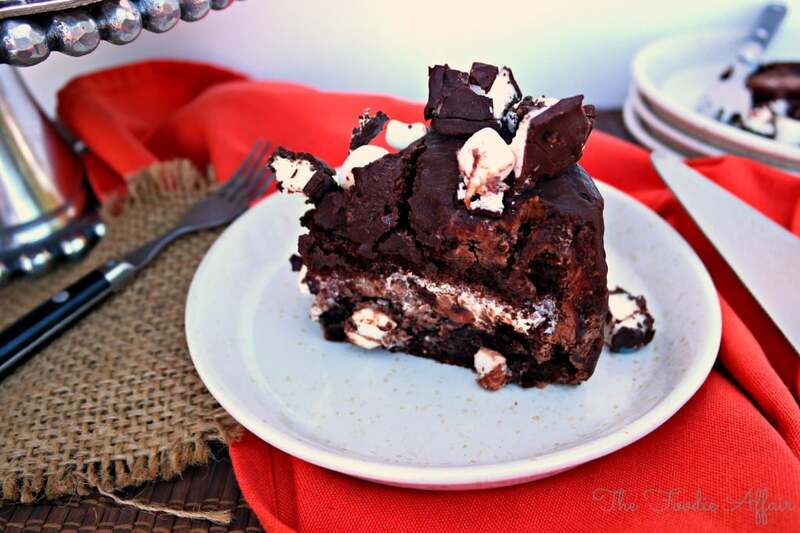 This recipe first appeared on the blog in April 2014. I received a free 12 month subscription of eMeals to facilitate the formation of my honest opinion on the service. All opinions are my own. This post has since been updated with new photos and content! When eMeals contacted me about their meal subscription service I really wasn’t sure if this is the type of service that would be beneficial to me. Once I looked closer into what the company offers, I quickly learned eMeal service is like having a sous chef! Who couldn’t use the extra help with organizing a menu, writing a shopping list, and even providing a list with the cost of each grocery item, and a total for the week?! This service is so nice to have. How many times do you go to the grocery store to pick up items for your evening meal? I probably go to the store for this or that 3-4 times a week! Seriously not joking, and of all the household duties I do, grocery shopping is not on my “yay” list. Not even close. This eating plan is quite a time saver, and economical too because I purchased exactly what I needed for my meals, and noted that my stops to the store were cut in half. It’s simple! You choose either a 3, 6 or 12 month subscription, the type of eating plan you prefer, the size of your family, and you can even pick your favorite grocery store you shop at, and eMeals will email you recipes to match your eating plan; an entree and a side dish. 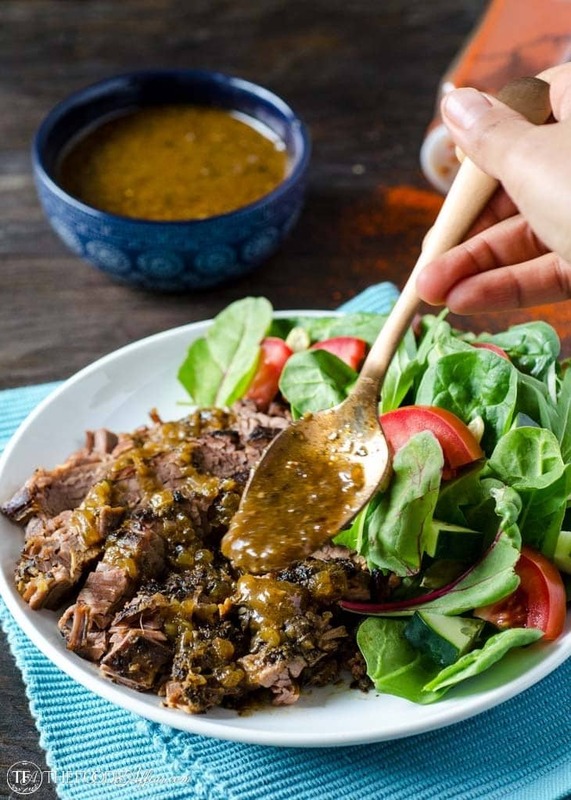 eMeals has quite an impressive list of eating plans to choose from; Clean Eating, Paleo, Organic, Natural, Slow Cooker, Low Carb, and more! After looking at all the options, I decided that the Slow cooker plan would be the best plan for my family. I wanted meals that I could put together and leave simmering, while I am at work. I had two options to choose from under the slow cooker category; classic and clean eating. I picked clean eating, which to me means that the meals will be mostly whole foods with limited preservatives. The recipes were delivered straight to my inbox; Apple Cider Pork Roast, Ginger-Soy Pork Sandwiches, Andouille Sausage and Chicken Stew, Greek Flank Steak Slow Cooker, Baby Kale and Artichoke Salad with Sliced Steak, Garlicky Beets and Chickpeas, Bacon, Potato and Leek Soup, and all of them came with a quick side dish to compliment the entree. I’m sharing with you the Greek Flank Steaks, which was one of the two items on the list that was used in another meal! We had Greek Flank Steaks with Cucumber Raita and Grilled Zucchini one evening, and the next day, we ate a green salad with leftover Flank Steak. Talk about a time saver, and it didn’t feel or taste like we were having leftovers! It was another delicious meal, that took no time to put together. My son was home for spring break when I made this flank steak slow cooker meal, and both Alan and Sam thought the meat was excellent. I did too. The meat was full of flavor and super tender that we started to pick at pieces before serving dinner! I had to quickly put half of the meat aside, so we could use it for the the next evening! What would make this service even better? The slow cooker recipes have been excellent, and they will definitely be on my table again, but I think two crock pot meals a week is plenty for my family. If I could have the option to choose a recipe from the regular menu list like the Natural & Organic plan in conjunction with my Slow Cooker plan, that would be stellar! Maybe that is something eMeals can provide in the future or could offer as an add on? Take a closer look at the eMeals website. The meals are budget friendly, clear instructions on the recipes, and great tasting food your whole family will enjoy! Place onion in a 5 - 7 quart slow cooker. Stir together oil, garlic, oregano, salt, pepper and cayenne pepper. Rub mixture over steaks and place on onions in the slow cooker. Add broth, cover and cook on low 8 hours. cut steak across the grain into thin slices (reserve half steak for another meal) Serve remaining steak with onions and gravy from slow cooker. I thickened the broth adding 1 cup of broth to a small saucepan on medium heat whisk in 1 tablespoon arrowroot, cornstarch or flour stirring until broth is slightly thickened. This steak looks so juicy and delicious I cannot resist! It was super delicious! I’ll be making it again soon! Agree with Katerina, that steak sure looks juicy and delicious. Thanks, Norma! It was as good as it looks! It was tender and flavorful. Slow cookers is the best invention! 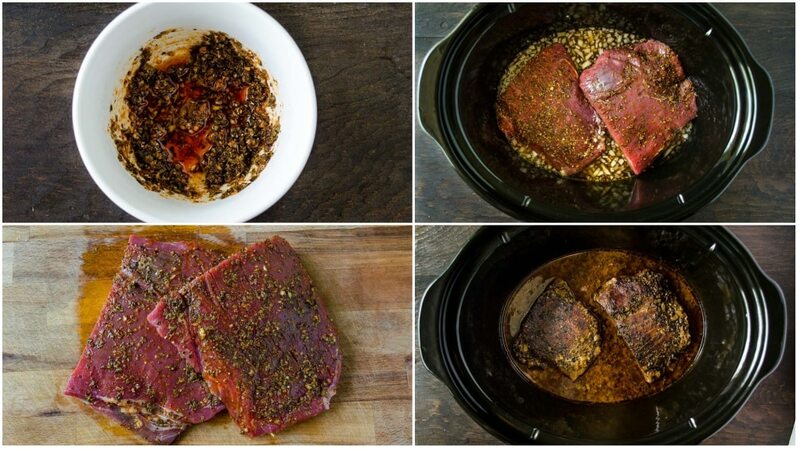 I always have a flank steak in the freezer, but never thought about cooking it in the slow cooker! 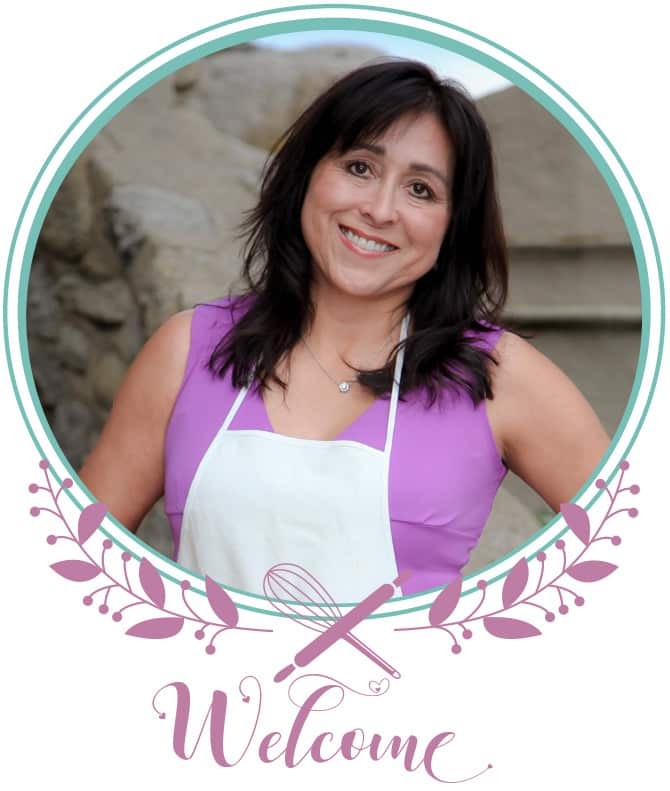 Your recipe sounds wonderful…and so easy!!! It is SUPER easy! That’s what I love about slow cooker meals. You put the ingredients together and that’s it! I’m like Liz, I would never think to prepare flank steak in a slow cooker. It is something I’ve always eaten rare but I do say…the steak looks good. I have one other flank steak recipe that is slow cooked, but we mostly grill. The meat was super tender out of the slow cooker. Thanks, Brandi! I’m super impressed with the recipes, especially nice when one meal is reinvented into another delicious meal! That flank steak looks amazing in those photos and I’m sure the meal planning service would be good. I agree that I wouldn’t want to pay the money and live on only slow cooker meals. It would be way too limiting for me. Hi Maureen! One of the moistest flank steaks I’ve made! They have so many plans to choose from and I can switch, but I REALLY like the recipes that have come with the slow cooker menu! Wow Sandra! You’re a supermom! I hope I can be like you in the future! Haha. Working and planning meals for the family every day is no easy feat! And I have to agree! We always take way longer to plan our meals and shopping list than the actual cooking itself! (At least I do!) So this meal planner subscription must be really helpful! You are so sweet, Sammie! When you love cooking it makes it easier, plus I like to eat good food! LOL YES, having a healthy meal plan at my finger tips is key!! Tried it, and LOVED it! Delicious, moist and so simple! This is a keeper! Thank you!! We are undergoing kitchen renovations and I’m so tired of cooking on an induction burner! 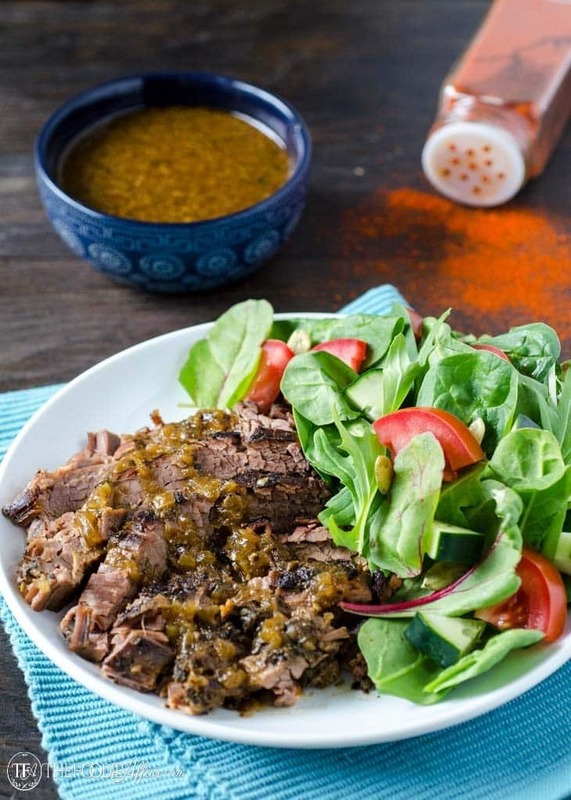 Your slow cooker flank steak looks fabulous and I’m hoping to have it on our menu soon!!! I remember your original post about emeals. Our market has a similar service in their store. They have one cooler set up with all the ingredients needed to prepare a meal along with the recipe on how to make it. I’ve never tried one but I’m sure a lot of people do. This subscription service sounds awesome and this flank steak recipe in particular has my mouth watering. I love the ease of making this in the slow cooker and I know our boys will love it as well. Thanks for another fantastic recipe! 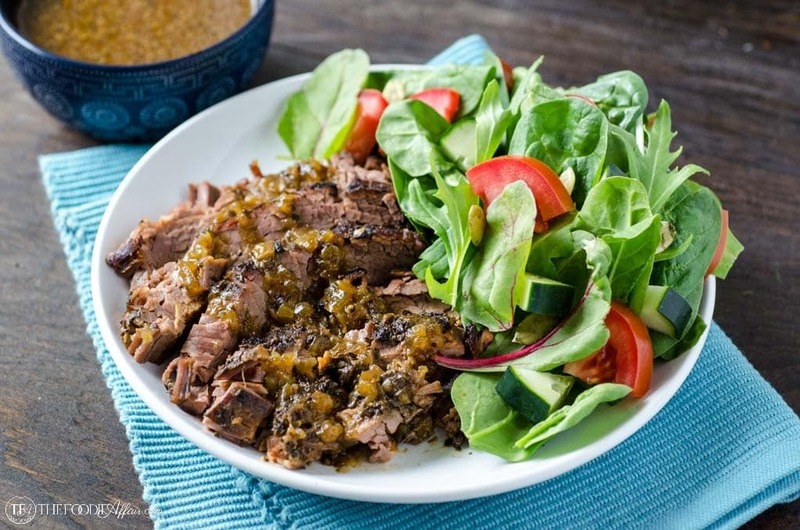 What a lovely meal and made in the slow cooker? Even easier! 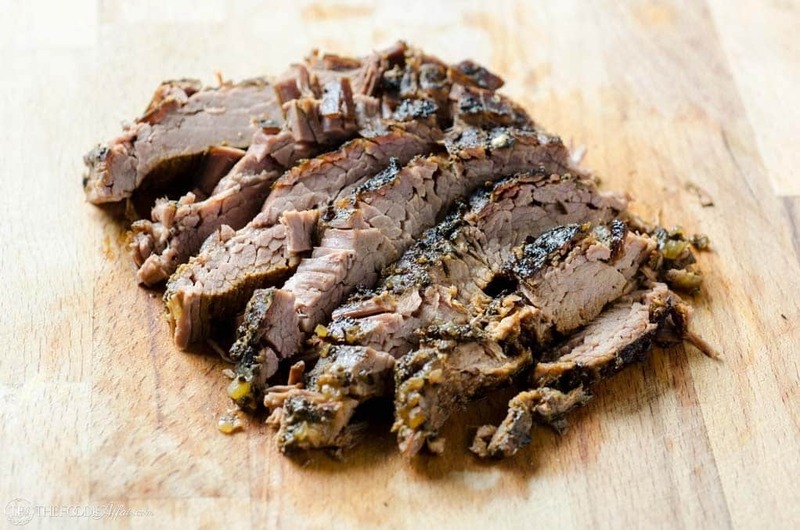 Flank steak has such great flavor I know we will love this meal!! Flank steak is tasty! I am loving the Greek spin you added to yours! Looks so fall about tender! The seasoning is so simple, but I know its going to make this so flavorful! I love any crockpot meals… as they are such a timesaver. Im putting flank steak on my grocery list right now! Bring on the Greek! I was so surprised to find so many Greek restaurants here in Mesa but I am so happy because I love Greek food! Now I can make the tender meat at home, cheaper than take out, and I don’t even have to heat up the grill. This is a plus in the arizona heat when I don’ t want to stand over the grill outside!